This entry was posted in Library Events and tagged Guide to getting published on April 11, 2017 by Goh Kheng Hiang. 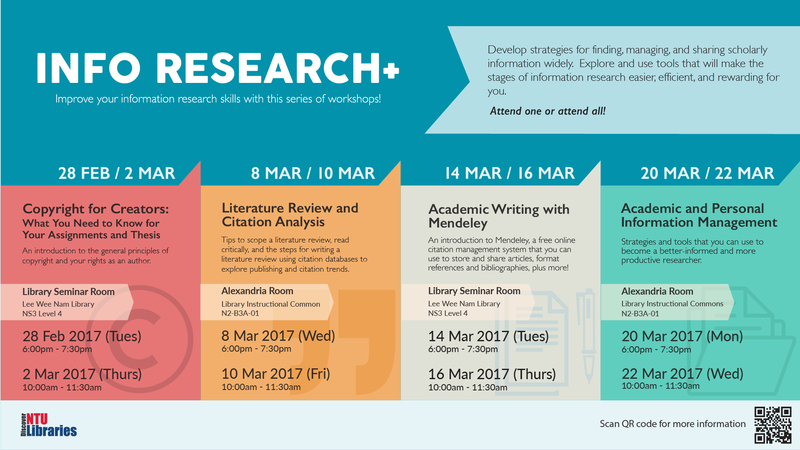 Join us for a new series of workshops from 28 February 2017. Participants will learn about the strategies for finding, managing, and sharing scholarly information widely and explore tools that will make the stages of information research easier, efficient, and rewarding for them. Please refer to the following poster for more details. You can either click here to register or on the poster above. Don’t Miss Out! This entry was posted in Library Workshops on February 24, 2017 by Goh Kheng Hiang. 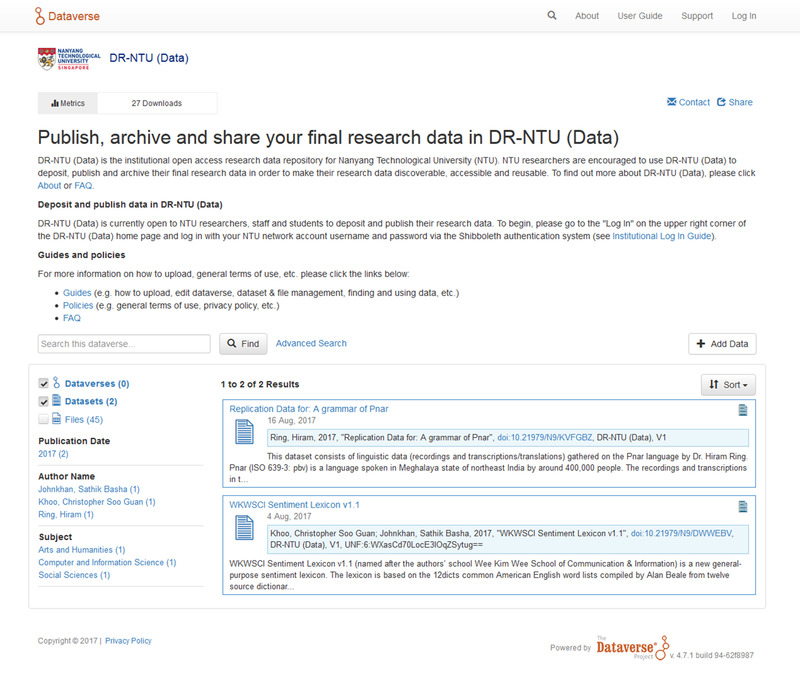 This entry was posted in Library Events and tagged Research Data Management, Research Data Sharing on February 21, 2017 by Goh Kheng Hiang.